For quality cataraft tubes, we recommend our bestsellers: AIRE and Rocky Mountain. The Rocky Mountain cat tubes offer the lowest cost per year to own of any tube out there, and with AIRE you get unmatched life spans, air retention, and handling with their continuous curve design. AIRE gives you eleven choices of tube size and models (not counting the new Sabertooth Cataraft), including the high capacity Lions. The Rocky Mountain (a.k.a. "RMR") line comes in the popular 14' and 16' sizes. We also carry the economical Maxxon cataraft pontoons, though we want you to understand there are some lifespan limitations with glued pvc products - a category which the Maxxons fall into. AIRE's boats with AIRE logos are Made in USA. AIRE offers three different design styles, ranging from 12' to 18'. The specialty big-water Wave Destroyer series has a total of four models, as does the "Performance" line, which includes the Wildcat, Leopard, Ocelot, and very popular 16' Jaguarundi. More about these below. For 2014, AIRE has made the 13’ Wildcat and 14’ Ocelot Cataraft tubes a special order item, and the lead time is about five weeks plus delivery from us (Bay Area, CA) to your location. Apparently demand for the 13' and 14' AIRE Wave Destroyers has increased and demand for Wildcats and Oceltos has dropped off a bit. These pontoons are available in dark orange, red, yellow, blue, purple, and dark green, and possibly white or gray. All models & brands we carry feature frame chafe pads on the tube tops. In the case of the AIRE’s it is not actually a separate piece of material, but rather a section of thicker gray fabric cut & welded into the tube top. This does help keep discoloration and staining from your rowing frame to a minimum. Both zinc-galvanized steel and aluminum will leave black marks, unless the metal is powder coated. AIRE also introduced a new frameless Cataraft called the Sabertooth late in 2013, so there are now actually twelve AIRE cat models if you count this one. This 12' model is intended mainly as a two person paddle craft, not an oar rig. It comes in White or orange and can be carried to put-in's that are far from vehicle access points. We offer the lowest prices! AIRE Lion 14 large diameter, high capacity inflatable cat tubes. AIRE Wave Destroyer 15 big water 15 foot cat tubes. AIRE Cataraft Wave Destroyer 12 footer. AIRE Wave Destroyer 14 Inflatable Cataraft. The Hyside Paddlecat Neo Cataraft packable class V fun! We stock a few sizes of the imported tubes from Maxxon. These offer great strength and stiffness at less than half the cost of any domestic tubes, although the trade off is that they are assembled with glue. This means that even though their price is lower than the Rocky Mountain tubes, they won't last quite as long. That said, for smaller sizes like the Maxxon ten footer's, there is no equivalent in either the Rocky Mountain or the AIRE line-up. The 10' Maxxon tubes are often sold to fly fishermen, but they are just as worthy of whitewater as the bigger 14's and 16's. Maxxon's in-between 12' size has sold poorly so we don't usually stock them anymore. It normally only takes an extra day or two to procure them though. If you are in a hurry, in many cases we may have the twelve footers drop-shipped direct to you. The Wave Destroyers from AIRE are a highly rockered tube intended for crashing through big hydraulics, but not for running rivers that tend to have extended flat sections. Originally the Wave Destroyers only came in 14' and 15' sizes, but several years back a 12' and 13' size became available. The 12' size has by far the shortest waterline of any whitewater tube AIRE makes, and with a simple day frame this small size makes a superb choice for steep technical class V rivers. Remember that the prices and weights here are for TUBES ONLY (frames are on a separate page) and that the widths given are dependent somewhat on whose frame you buy. Just to reiterate what's available in the three cataraft brands we carry, only Maxxon makes the 9' and 10' length pontoons, and only the 10' is really a whitewater tube; the 9' size is only for easy rivers. In the 12' size, you have your choice of the AIRE Wave Destroyer or again, Maxxon. In the 13' size, it's either the special order AIRE Wildcat or their 13' Wave Destroyer. In a fourteen foot length, you have a huge number of choices including AIRE Lion, Wave Destroyer, and special order* Ocelot (*see text up top), Maxxon standard 21.5" diameter tubes (special order) or the bigger 25" "fatty" Maxxons, plus the Rocky Mountain 14's. In a 15' foot size, there is just the Wave Destroyer line. In sixteen footers, again there are two diameters of Maxxons, the Rocky Mountain brand, and the AIRE Lion & Jaguarundi, for a total of five choices. 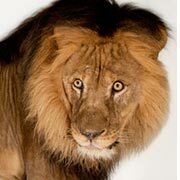 There are no 17' tubes, but in the 18' size AIRE makes both the 26" diameter Leopard and the special order 27.5" Lion 18'. For information about multiple cataraft discounts, and discounts on accessories that are purchased with your cataraft, please see the F.A.Q. page of our website.